You sure can! But before you go to the store and pick up some paint, be sure to read the preparation/application tips and considerations. Before you begin, examine the tile for damage. If there are any areas that are cracked, shipped, or rough, use a quick-drying epoxy to fill in the area. Allow the filler to dry for a few days before applying step 2. You sure can! But before you go to the store and pick up some paint, be sure to read the preparation/application tips and considerations below. 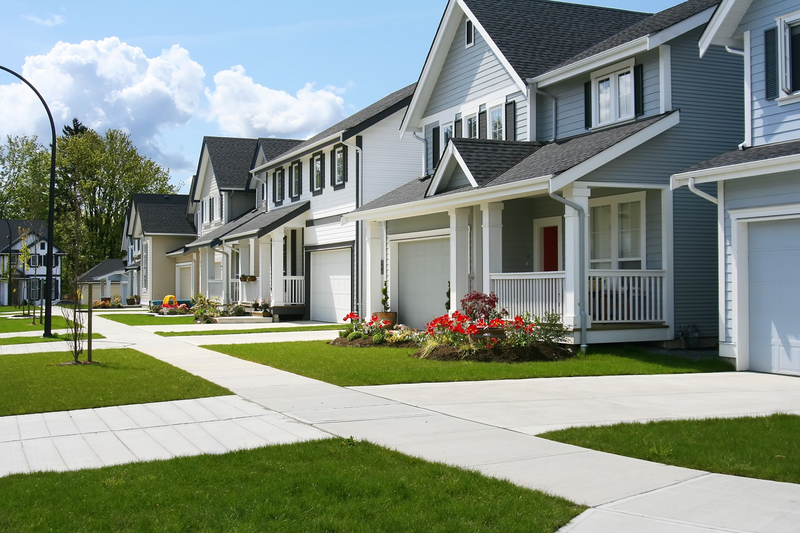 All vinyl siding will fade somewhat, and after 10 to 15 years, the change can be significant. When that happens, or if you simply want to change its color, vinyl can be painted. 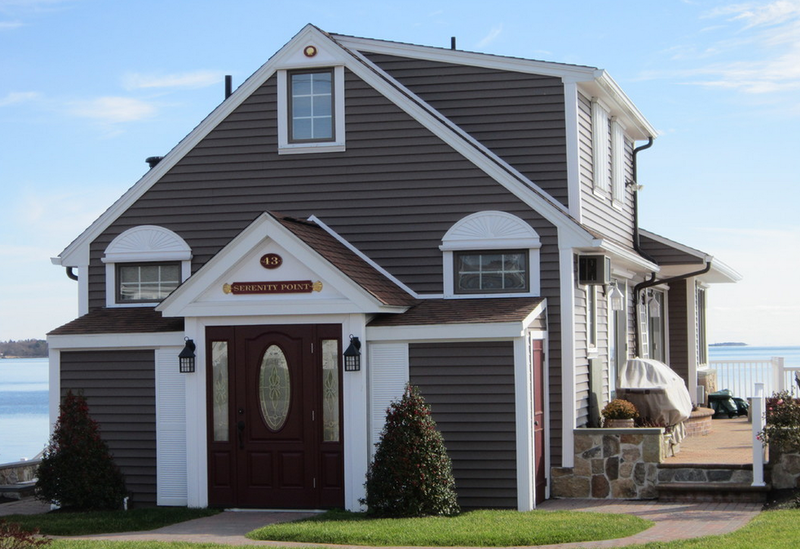 Be sure to check with your siding manufacturer before you paint as many companies void their warranty if siding is painted. To get started, wash the siding using a pressure washer or a scrub brush. Mix up a 5 gal bucket, containing 3 gals water, about 4 cups of bleach and a good amount of dish detergent. If your siding is really dingy, you may wish use a professional cleaning product. TSP is a wonderful siding cleaner, but it will slightly glaze or etch windows. Never allow any bleach or any cleaner to dry on the surface. This is the biggest cause of paint adhesion failure. Rinse, rinse, and rinse some more. 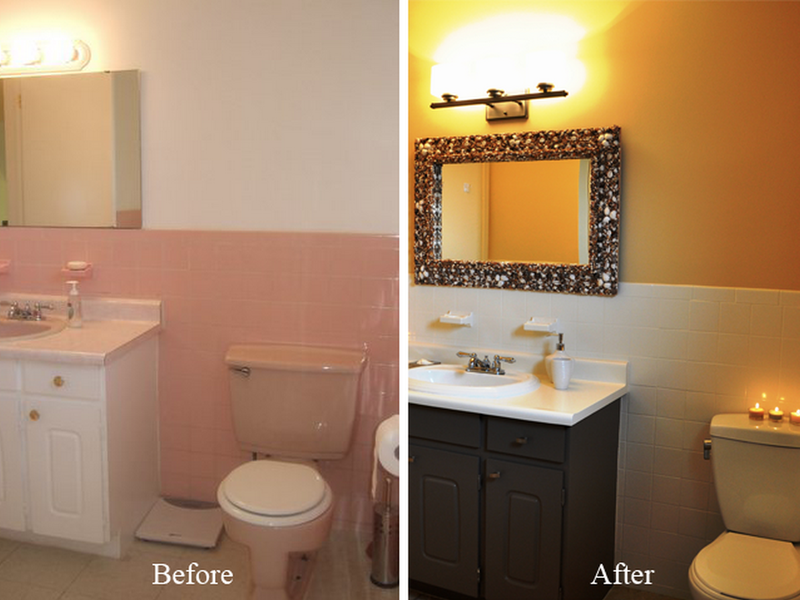 When choosing a color, you should be aware that your color range is limited to those similar to the existing color. This is because dark colors absorb more heat than lighter ones and can cause the vinyl panels to expand and buckle. Vinyl siding in good condition can be top coated right over. 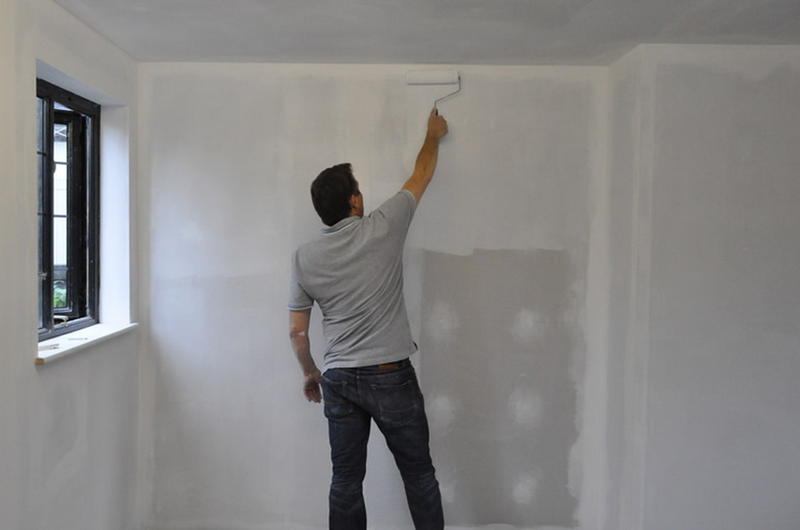 If it is really old or has a chalky surface, it’s best to use a general-purpose latex primer. For the top coat, choose a latex paint that is recommended for vinyl siding, such as Benjamin Moore Aura or Regal Select. How to Much Paint Do You Need? Homespree provides a great tool to help you determine how many gallons of paint you need to paint walls, ceiling, trim, siding, etc. However, it’s important that you know some basics about paint coverage to get a better sense of your project requirements. 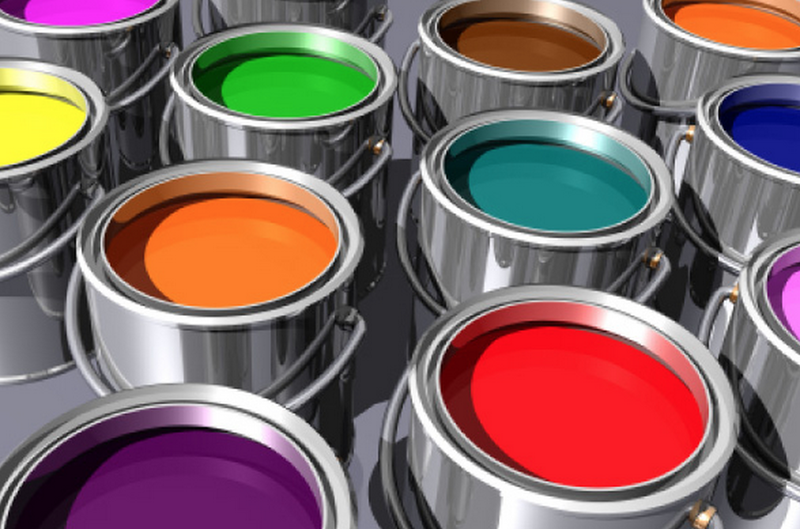 An average gallon of paint will cover 350 square feet. Use the steps below to calculate how many gallons of wall paint a typical interior project requires. When purchasing paint, you may be overwhelmed by the variety of finishes that exist and/or confused by how they differ. Paint finishes typically vary based on light reflectance, durability and washability. Below is a list of paint finishes carried by most major U.S. paint brands. Use: General use on walls and ceilings. Comments: Hides surface imperfections. Stain removal can be difficult. Use for uniform, non-reflective appearance. Best suited for low-traffic areas. Use: Can be used in place of flat paints on wall surfaces, especially in halls, bathrooms and playrooms. Comments: Resists stains better than flat paint and gives a more lustrous appearance. How Does Epoxy Differ From Paint? In general terms, an epoxy polymer is a tough plastic-like material containing an epoxide group that reacts with a hardener. It is employed to make chemical and water-resistant adhesives, patching materials, insulating materials, auto finishes and paints. It is commonly used for interior commercial and residential floor surfaces. Most epoxy patching compounds, adhesives, sealers and paints are prepared by combining two components on-site, just before application. Some epoxy sealers are 100% solids, some are two-component water-based acrylic, and some are one-package water-based products. 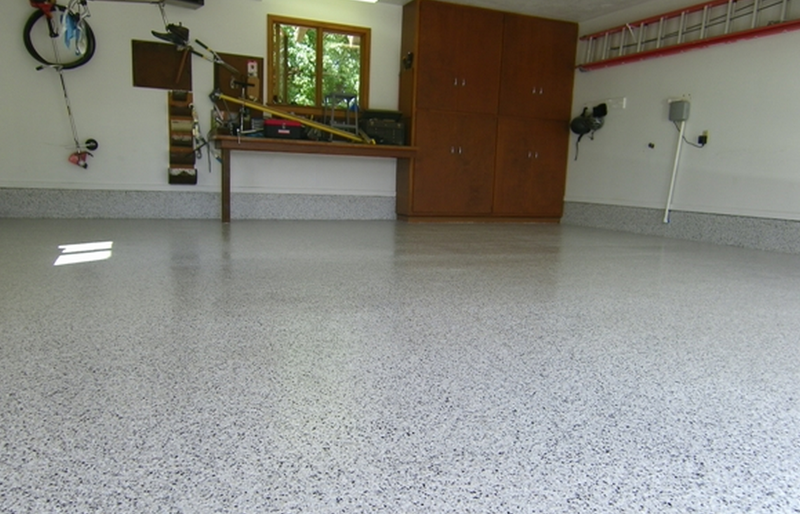 The most common application for epoxy for homes is in various types of garage floor finishing systems.